Ximena, a 32-year-old business woman from Santiago, Chile, is loving her experience as a social volunteer for Bergen Hostel Montana in western Norway. So what inspired her to help hostel guests on a Norwegian hillside? “Nobody told me hiking could be fun!” Ximena said with a big smile. One of three social volunteers at hostels dotted across western Norway, she joins Sonia from Bolivia and Anneke from Germany in organising outdoor activities stimulating a social environment for guests. On her arrival, Ximena spent 3 weeks at Bergen Hostel Montana, located on the hillside of Norway’s second biggest city. Here, she took a crash course in how to be a social volunteer, focusing on its basic principle – to be a conversation catalyst between guests. Social volunteers organise activities for, and with, the hostel guests. This can be pretty much anything; from making free coffee and cookies in the afternoon creating a chance for people to speak to each other, to arranging canoe trips or city walks. 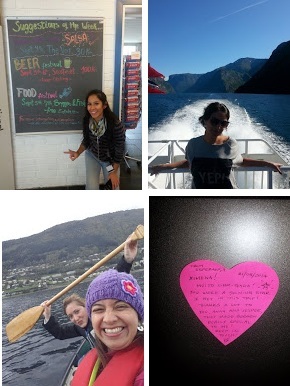 Just some of Ximena’s amazing Norwegian experiences as a social volunteer. 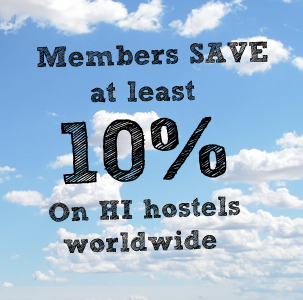 No tasks undertaken by daily hostel staff are involved here, purely stretching your wings as a social butterfly. “What I really love about this programme is that it is all about the people, to get the hostel guests to speak with each other and have fun together” – Ximena says. 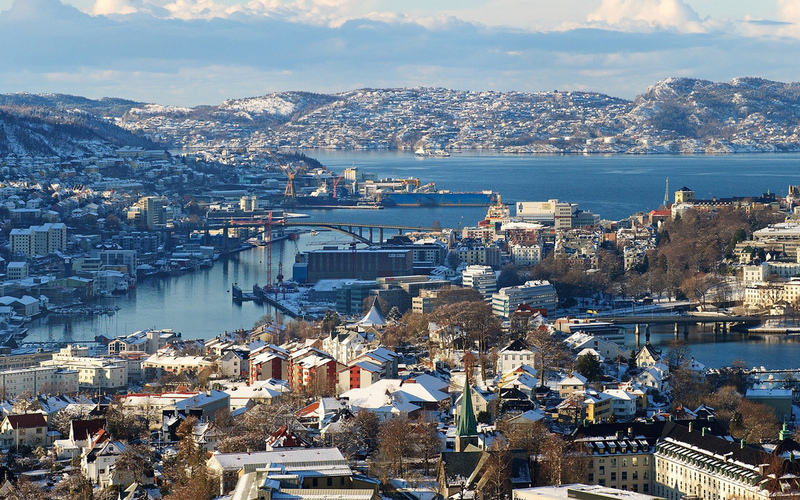 From the day she landed in Bergen, Ximena fell in love with the Norwegian nature. “The landscape, the mountains, the centre of Bergen – everything was so beautiful” Ximena describes her first meeting with Western Norway. Sound good? If you’re interested in becoming a social volunteer with HI – Norway, or know someone who would be perfect for the role, visit www.volunteering.no for more information.